Today is UNESCO’s World Day for Audiovisual Heritage and this year’s theme is “ Save and Savour – Now!” According to UNESCO, audiovisual heritage contains the records of the 20th and 21st century, but is also vulnerable in it’s current status. There are only 10 to 15 years left to digitize audiovisual records to prevent their loss. The theme of this edition of the World Day however is not only about saving the audiovisual heritage but also about savoring it. To enable audiences to really enjoy audiovisual heritage, providing access is vital. This is exactly the case with a project like EUscreen. By putting digitized content online, participating archives do not only preserve their material for the future, but also open it up for the public now. EUscreen offers users from all over the world the opportunity to watch and enjoy television heritage from almost every country in Europe. The content is contextualized to offer meaningful access to this heritage. 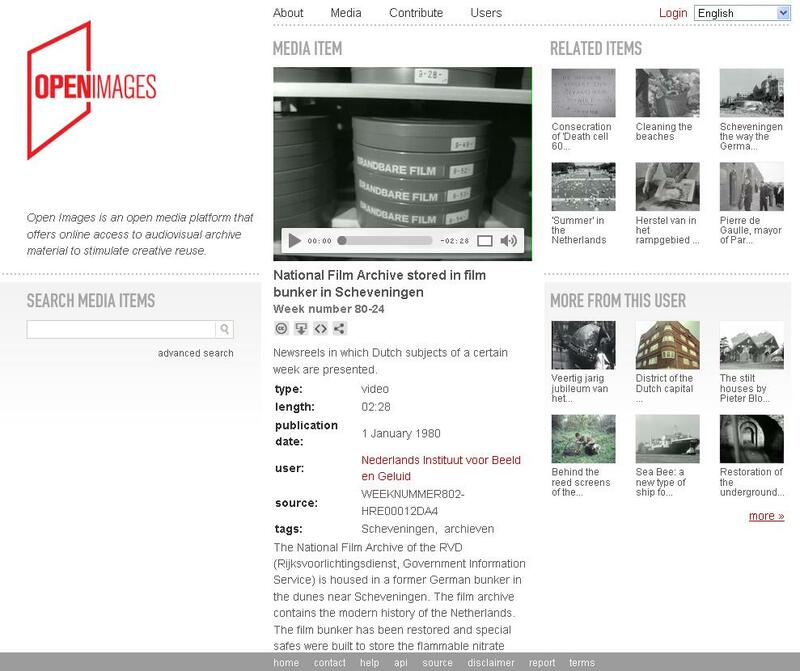 EUscreen will experiment with the publication of online collections under a CC-license in collaboration with the platform Open Images. To celebrate UNESCO’s World Day for Audiovisual Heritage, the platform has uploaded it’s 1000th item. The item is a Polygoon news reel from the Netherlands Institute for Sound and Vision. A platform like Open Images offers users the opportunity to reuse and remix audiovisual heritage for their own purposes and truly supports UNESCO’s thought of save and savour- now!